About 2 kilometres west of Lefke is the ancient city of Soli. It is not difficult to find as the white roof that covers the basilica floor can be seen from the road, but the turning is well hidden and can be easily missed. Take the left turn, and follow the narrow track that leads to the ticket office. 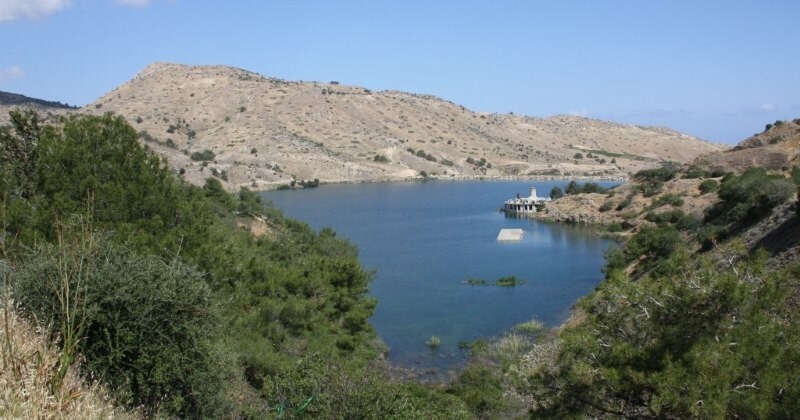 The foundation of Soli is attributed to the Greek Philosopher Solon 640-558BC, it is also traditionally the baptism site of John Mark, the apostle and kinsman of Barnabas, who accompanied Paul on his first missionary journey to Cyprus. 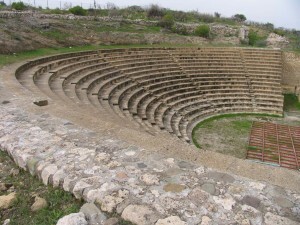 The remains of this ancient city, once one of the ten city kingdoms that ruled the island, are spread over a wide area and are made up of the original basilica floor that is covered in mosaics; the agora area with a nymphaeum, colonnaded street and surrounding dwellings, and up a steep slope is the partially rebuilt theatre. The city dates back to the sixth C BC, though there was possibly a much earlier settlement on the site as the land is very fertile, with good water and a natural harbour for trading purposes. The Hellenistic artefacts of the city mostly lie beneath the remains of the buildings left by the Roman occupation and it is those buildings that we see here now. Soli was a rabidly pro Greek city and in constant conflict with the Persian overlords who sought to exact huge taxes from the islanders. 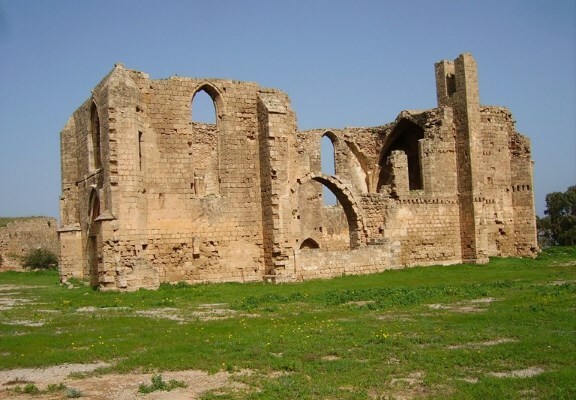 The nearby city of Vouni was built by a pro Persian king from the city kingdom of Marion, (near Polis in South Cyprus). The covered basilica site dates from the fifth C AD during the Byzantine period and the church was dedicated to St. Auxibius, a Roman soldier in the first century AD, who converted to Christianity and was baptised by John Mark. He was later ordained by Paul and became the first Bishop of Soli. 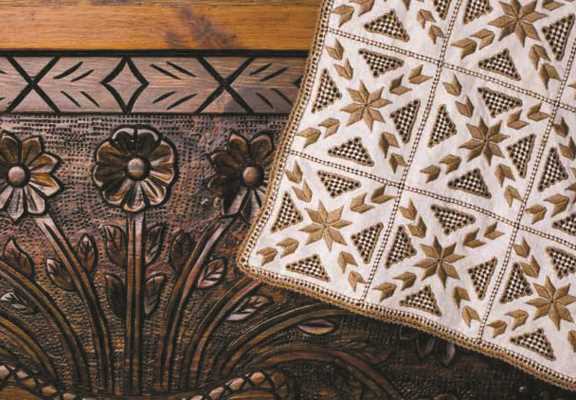 The partially excavated floor was exposed during the time of the Swedish expedition (1927-1931) and reveals a wonderful selection of intricate and brightly coloured mosaics. Unfortunately the roof that was erected to protect the mosaics deprives them of any natural light and they are never cleaned. Thus with a thick coating of dust it is sometimes difficult to make out the designs that lie at ones feet. There are animals and birds; a horse, bear, dog, dolphins, a swan, geese, and ducks. There are corridors of opus sectile paving, and complicated geometrical designs. Raised walkways have been installed throughout the basilica giving a better view of the floor area and all the mosaics. In addition there is a display of photographs depicting all the mosaics when they were restored recently under a project funded by USAID. 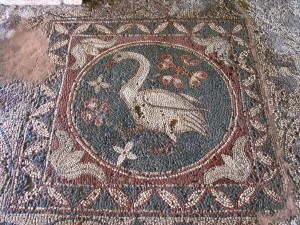 In order to protect them, many of these mosaics have now been covered and are no longer on view. In the 7th C AD Soli suffered the same fate as other coastal towns and was destroyed in the Arab raids. During the following centuries the stone was recycled, thought there are still massive columns lying in the place they were originally toppled. In the 11th / 12th C AD another smaller church was built on the floor of the basilica, taking up about one quarter of the original ground space. This in turn fell into ruin and the stone was recycled under the British occupation in the strengthening of the Suez Canal and the harbour at Port Said. When the Swedish expedition uncovered the early basilica floor they also excavated a small section of the later basilica near the apse end to reveal a mosaic dedication that reads, “Mercy to those who gave this mosaic”. The theatre is typically Greek in design and style. It is built into the hillside with a seating area that would have accommodated approximately 3,500 spectators. There is a semi-circular orchestra and the sea would have provided the backdrop. It was during the Roman period that the stage was erected. It was rebuilt, as was the seating area in 1962, ensuring that the theatre can still be used today for performances that range from professional concerts and operas to plays put on by the local universities. It was behind the theatre that the “Golden treasure of Soli” was discovered in 2005. North Cyprus – Destination Famagusta!